Now that we know the basics of bitcoin and cryptocurrencies, we can dig deeper and find out more interesting things about bitcoin. As we mentioned in other previous material, bitcoin is a cryptocurrency that is created through the process of mining, meaning that you will basically need a hardware configuration that will solve mathematical operations (or transaction processing) which at the end will generate bitcoins for you. The hash rate measurea how powerful the bitcoin mining hardware is. Specifically, it measurea the number of times a hash function can be computed per second. The profit expectations is directly proportional to the hash rate. To explain it a bit better, a hash function takes an input of a certain length and produces an output of a specified length. When it comes to bitcoin, the hash function that is being used is SHA256. Hash functions are deterministic, so a certain input will generate the same output. 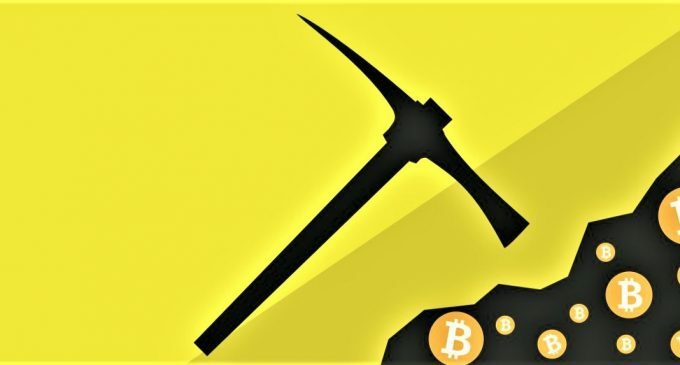 In order to mine bitcoins, you must find an imput which includes a list of the most recent transactions that had taken place and need to be verified and whose hash is smaller than a given value (the value is adjusted periodically so the mining process gets more difficult). If a miner finds that type of value, he then broadcasts it. The set of transactions that he included are now verified and that set becomes the next block in the Bitcoin chain. The miner will get a reward for his contribution with the computational power to operate the Bitcoin protocols. To conclude, that is a brief explanation, in a mathematical way, of the process that leads to the mining of new bitcoins. Trading cryptocurrencies on margin carries a high level of risk, and may not be suitable for all investors. The high degree of leverage can work against you as well as for you. Before deciding to invest in cryptocurrencies you should carefully consider your investment objectives, level of experience, and risk appetite. No information or opinion contained on this site should be taken as a solicitation or offer to buy or sell any currency, equity or other financial instruments or services. Past performance is no indication or guarantee of future performance.